Welcome to Animal Magic Art. 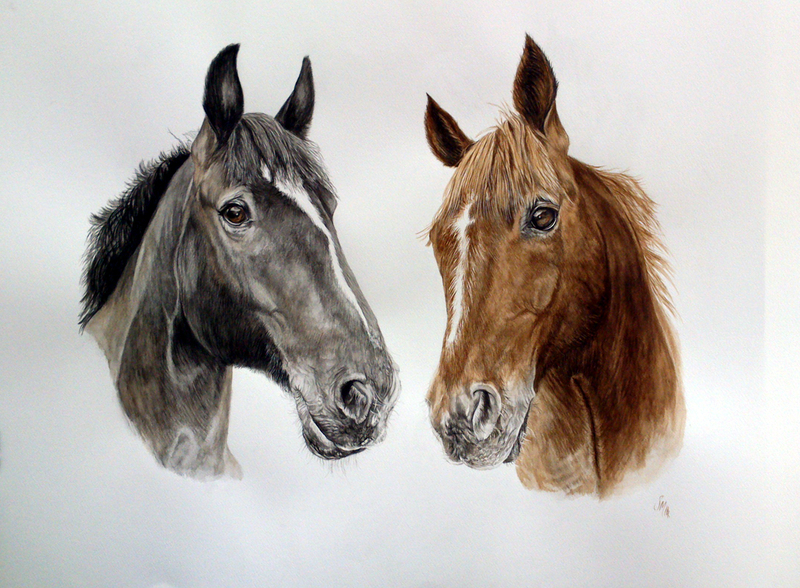 My name is Sue Mclachlan and I am an pet portrait artist in Hampshire. 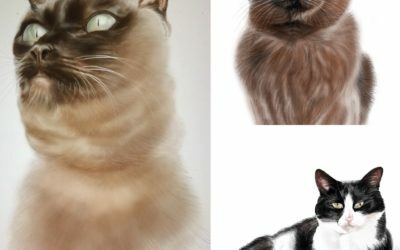 I graduated with an MA Fine Art from Winchester School of Art in 2008 and in 2010 I set up my Pet Portrait business confident that my love of animals shows through in my work. I have two horses, a dog and a cat. 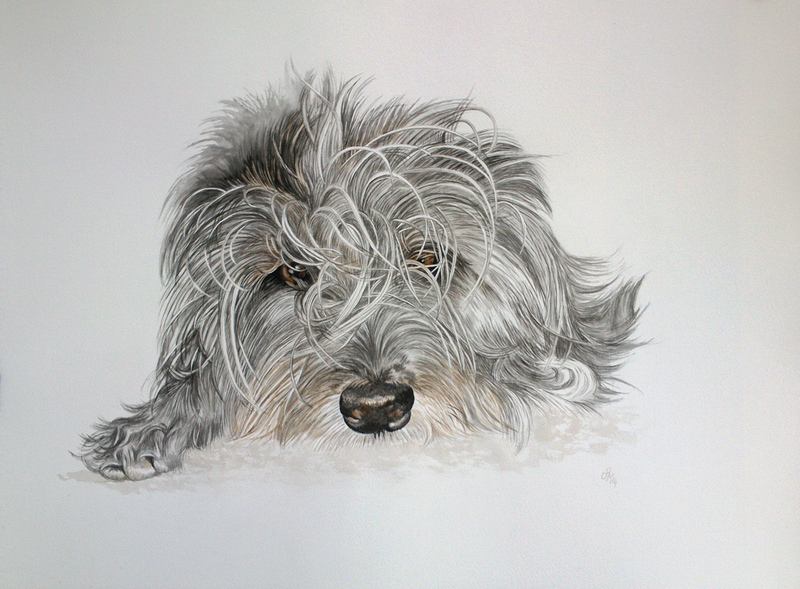 My pet portraits can be in the traditional mediums of watercolour, oil or crayon etching. My professional highly detailed paintings are not something you just hang on the wall, they are a reminder of that cherished friend. 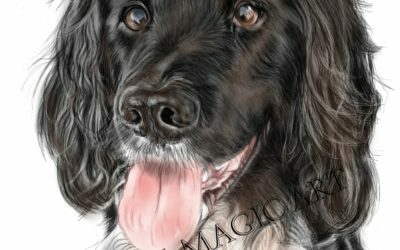 From photo shoot through updates of likeness to framing, as an Animal and Pet Portrait Artist customer service is also of its upmost. 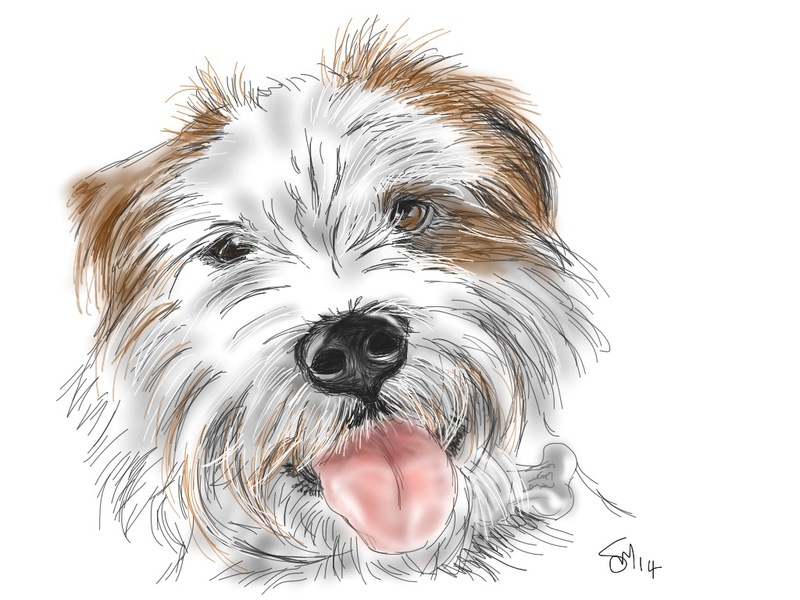 How about an iPet Pet Portrait? 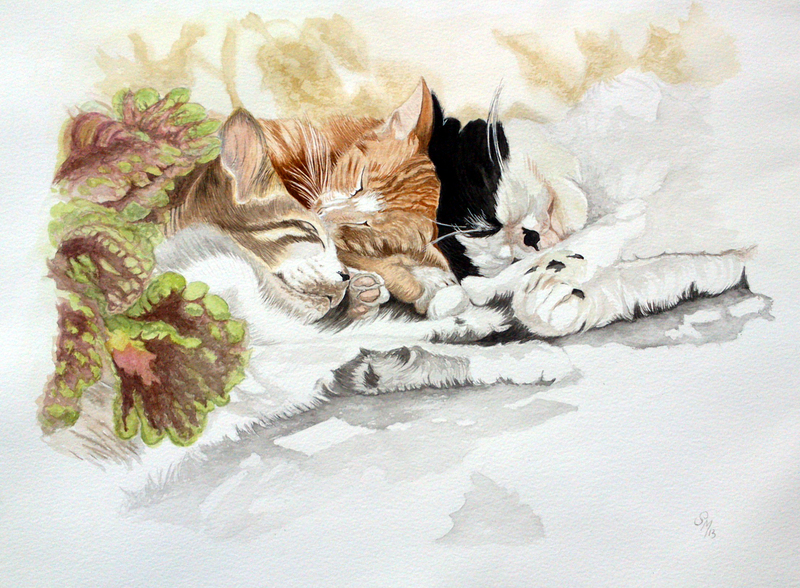 A more affordable option is an iPet Pet Portrait. A sketch using just my finger on an iPad and sent to you electronically or printed on to numerous mediums such as paper, canvas, aluminium, wood or acrylic as you wish or you can arrange your own printing of course. Just wanted to let you know my mum loved the painting! She did cry! Mum nearly cried when she saw her lovely watercolour of our old springer tears of happiness I assure you! The painting was a fantastic present, we love it! I know he is my dog but he does look gorgeous. Just can’t wait to see the finished product!! By the way, of all the wonderful things my lot got for the big day, the ones which provoked the biggest ‘oooh’s were your pictures of Buddy! Happy wife. Thank you! Sue, your work is fab! I know he is my dog but he does look gorgeous. Just can't wait to see the finished product!! Hi Sue, Just a quick message to say that my Sue is absolutely delighted with Barney's picture. Kind regards, Brian. Hello, Ooo Sue it’s perfect, it’s so much better than I ever imagined! Thank you so so much!!!! Hello Sue. Just to let you know we took the picture of Rufus up to my sisters the other day. Well she was very moved by it all, the likeness and the fact that we originally did it as a Christmas present for Philippa made it even more ponient. So a very big thank you for your efforts and putting up with me being somewhat fussy.